Back in April, Mark Ruffalo made the somewhat startling revelation that a standalone Hulk movie may not happen anytime in the near future because Universal still owns the rights for a standalone sequel to their 2003 Hulk movie and the 2008 follow-up The Incredible Hulk. Many fans have been wondering if this is true, and what is going on with the rights between Universal and Marvel. Forbes has a new report explaining the movie rights shared between the two studios, and what it means for a standalone sequel with Hulk at the center. A movie many fans hope is Planet Hulk. Will a solo movie happen anytime soon? Don't hold your breath. Marvel won back the Hulk movie production rights in 2005, after Universal failed to put a sequel to 2003's Hulk into immediate production. But they did not obtain the distribution rights, which Universal still has today. And Universal is confirmed to have the right of first refusal on the distribution of any Hulk movie planned for the future. If, or when, Universal chooses to forgo distribution, Disney will immediately pick up those distribution rights for a solo Hulk movie. What this means is Universal cannot make a Hulk movie, with Disney and Marvel unable to distribute a Hulk movie if they choose to move forward and make one. This isn't the main reason we haven't heard an announcement on Planet Hulk or any other Hulk movie, though. Disney and Marvel made Iron Man 2 with Paramount distributing the movie. Paramount also distributed the first Iron Man, Captain America: The First Avenger and Thor. And Marvel/Disney have recently entered an agreement to partner with Sony on a new Spider-Man reboot that will be distributed by Sony Pictures. It's clear that Disney/Marvel do not have a problem distributing their superhero adventures through another studio, though that is not their top choice. It is also noted that if Marvel and Disney really wanted to make a new Hulk movie, they would buy the distribution rights from Universal, or cut some sort of new deal with Universal, or just release it through Universal as they have done with other studios in the past. 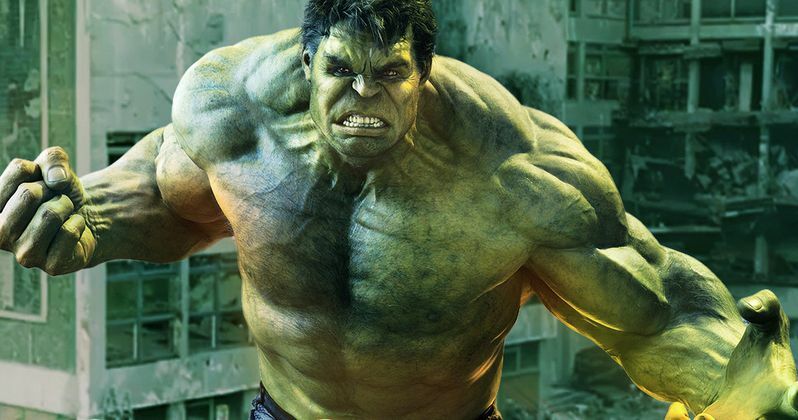 Forbes offers three reasons for Marvel and Disney not committing to a new Hulk movie. The first is that 2008's The Incredible Hulk didn't perform well at the box office, with just $263 million worldwide. And 2003's Hulk only made $245 million. They are the lowest earners in the Marvel Cinematic Universe. The film audience for the title didn't grow between movies, which is seen as a bad sign. And both films failed to break even against their budget. While The Incredible Hulk did perform well on the home video market, it wasn't enough to cover marketing costs. At this time, it's believed that Marvel and Disney don't want to invest between $150-200 million in a solo superhero movie that isn't going to make a very large return like their other recent releases. The second reason is that Hulk has proven to be quite popular in Marvel's The Avengers and Avengers: Age of Ultron. He works better when surrounded by a team, with the character not having to shoulder a whole movie on his own. The studio wants to keep him as a 'special event' character, which raises the profile of an ensemble movie like these two mentioned, or Captain America: Civil War, where Bruce Banner is rumored to appear next. The ensembles allow the character to show his strengths, and not focus on the weaknesses that would come out in a movie devoted solely to Hulk. The final reason given for no solo Hulk movie anytime in the near future is that it will cost a lot of money. Especially if Marvel and Disney go the Planet Hulk route. The actual Hulk character had limited screen time in the first two standalone movies, with Bruce Banner involved in much of the action. A new Hulk movie would have to be given over to the Green Goliath, with the story revolving around an entirely CGI Hulk. That means more production time and higher costs with the extensive effects necessary. Both Planet Hulk and the long rumored World War Hulk would be incredibly expensive to pull off on the big screen the right way. Its speculated that either storyline would cost over $200 million. The past box office for these films does not justify that as a solid business plan. Counting in marketing costs and everything else that goes along with it, a solo Hulk movie would have to break $750 million worldwide to be economically viable. And that's the minimum. And as the past has shown, the previous two Hulk movies came nowhere close to those numbers. For now, Marvel and Disney think the character works better as part of an ensemble. But that doesn't mean a solo movie won't ever happen. Planet Hulk could be as close as 2021.The real question is, are you willing to wait that long? If Marvel feels there is enough interest to justify a solo movie, they will definitely jump at the chance. Right now, we're still years away from that happening. You can visit Forbes for an even more in-depth account of what is going on with this Marvel title.